Ryanair is the most famous low-cost airline company in Europe. 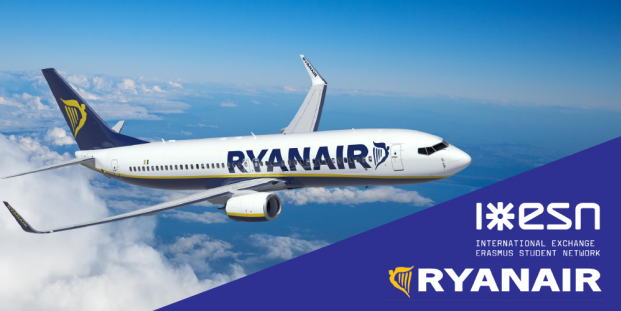 Thanks to a partnership between Ryanair and Erasmus Student Network, ESNcard holders will be offered 15% off Ryanair flights as well as a free checked-in bag with every flight booked! There will also be a special booking portal, travel tips and weekly travel offers. The offer will start on September 1st, 2017, and will be valid until June 15th, 2018.